Punjab, long reviled for dusty flatlands and merciless summers, quite marvelously lends itself to splendid driving holidays. Not despite but because of said plains. A well-tended network of national and state highways carves through (mostly) eye-catching landscape and you are never far from this agrarian land’s defining truisms: luxuriant acreage, mustard fields, rows of eucalyptus and poplars, chugging tube-wells, waddling cattle, tractors belting Punjabi pop, haughty mutiaars and strapping ghabroos. Read all about the bucolic charm and near-forgotten attractions of the fun-loving and boisterous state I call home in my latest. 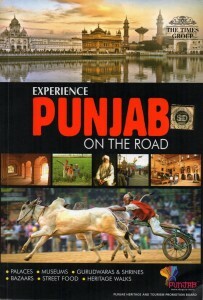 Published by The Times Group and supported by Punjab Heritage and Tourism Promotion Board, Experience Punjab On The Road, is bound to be a road-tripper’s delight – even if I say so myself. Learn all (well, almost) about its legends, food included, and also experience firsthand its celebrated hospitality as you drive through a historically enriched landscape. 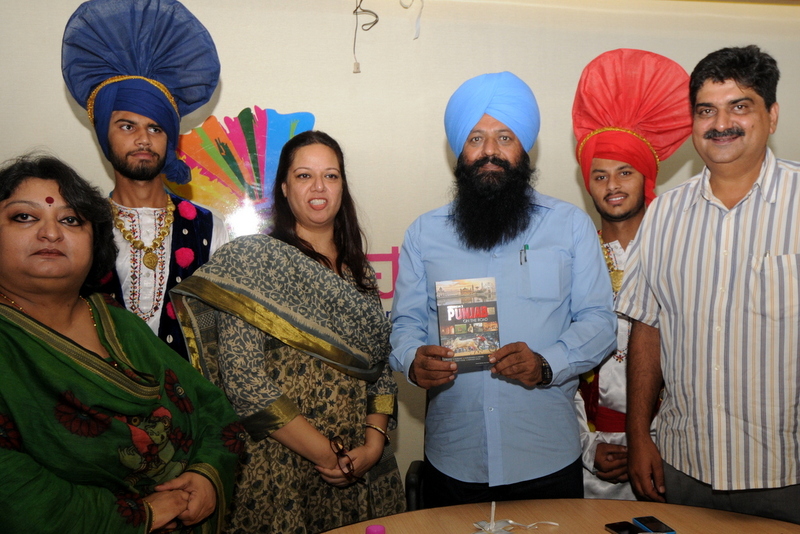 Like most things Punjabi, it received a high-powered launch on 13th August. The Minister of Tourism, Sohan Singh Thandal, released it to a select group at the Punjab Heritage and Tourism Promotion Board Office in Chandigarh. 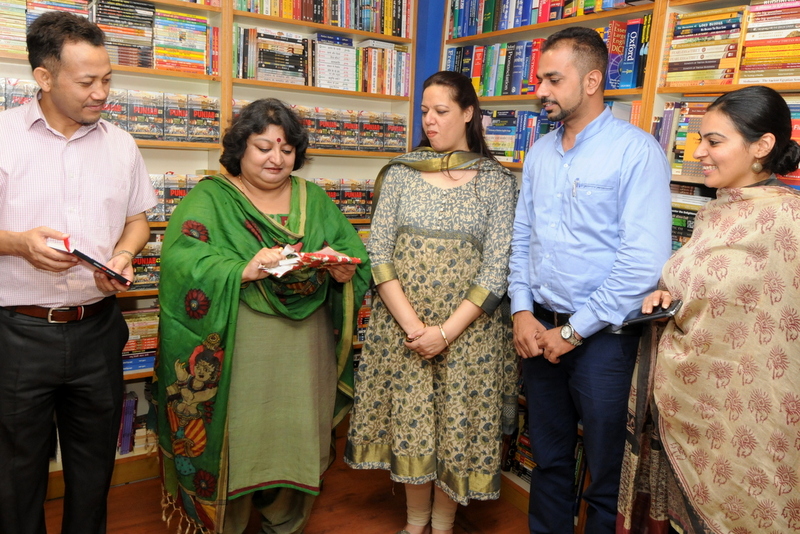 A more public and interactive launch was presided over by the Secretary Tourism, Raji Srivasatava, at the English Book Depot (pic below) later that day. Congrats. You are now an official mascot for Punjab tourism!